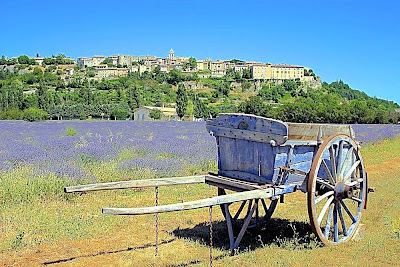 It’s time to leave Saignon, next on our lavender trail tour is a drive to the village of Sault, in the Vaucluse Mountains. It is one of three villages on the route to the summit of Mt. Ventoux. During your short drive, look out for scenes like the one below, especially at harvest time. 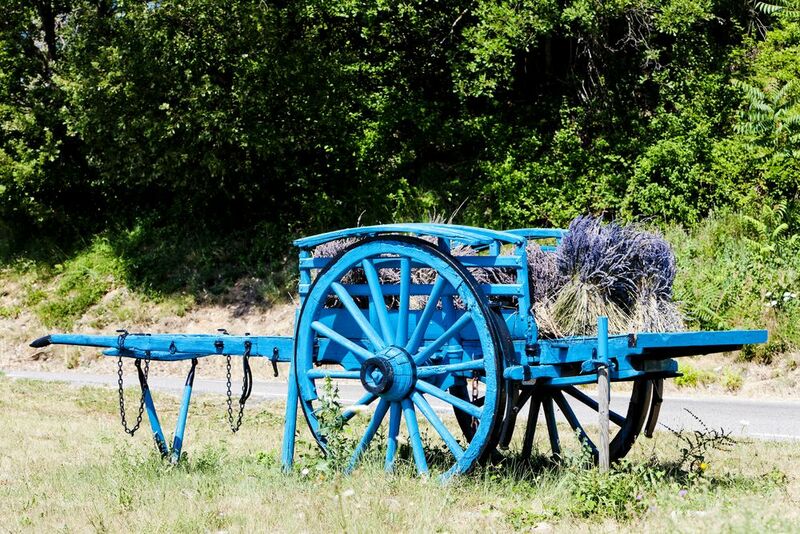 – bundles of lavender stacked on a cart and left to dry in the warm Provencal sunshine. 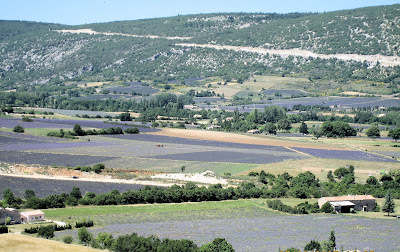 The 50 minute drive from Saignon heading north on the D174 takes you to this village perché overlooking a wide and fragrant valley filled with row upon row of lavender. As you stand on the terrace of the Cafe and look out, all you see is a soft purple cloud of lavender all the way to the foot of Mt. Ventoux. Walking around the village, you will notice a number of attractive 16th Century stone buildings, where we still see traces of the medieval times in the floor arrangement of the houses. Animals were housed on the ground floor of the home while the upper floors were used as living space with bedrooms at the very top of what are usually three to four storey buildings. 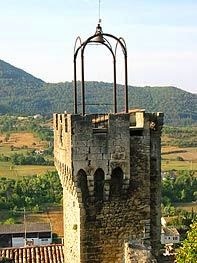 Very much like La Baume des Pelerins in Sablet you will see a large doorway or iron gate on the ground floor. 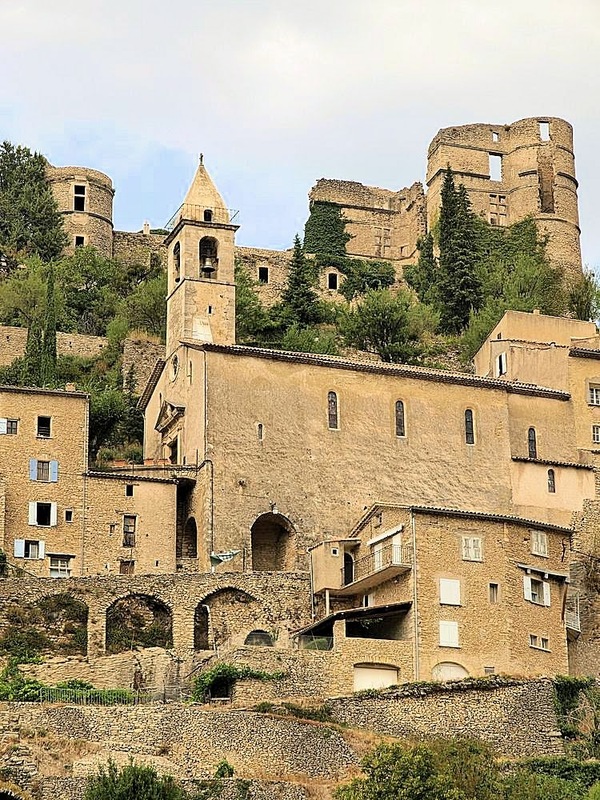 In the old town is also the Chateau des Agoult – home of the Barons of Agoult who ruled Sault for five centuries beginning in the 11th Century, and the Church of Notre Dame de la Tour with an adjoining Chapel of the Penitents Blancs. As many hilltop villages in France, Sault was home to an active group of “maquis” (French Resistence) during World War II and a memorial in the village honors the brave members of that group based in Sault. Today, the atmosphere in Sault is one of relaxation at the outdoor cafes, and restaurants are full of bicyclists and hikers, who stop here for refreshments before tackling the 25 km climb up Mt. Ventoux. 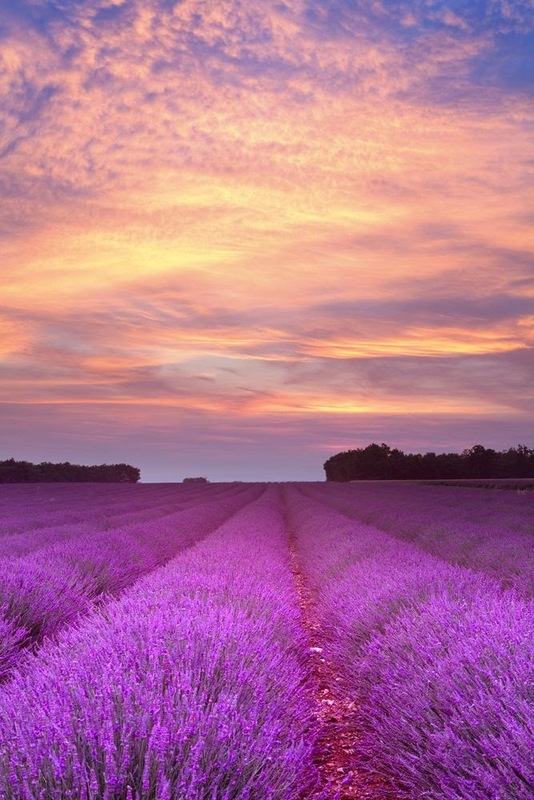 Although there are a number of leisure activities available for the outdoor enthusiast, including hiking, paragliding, shooting, horse riding and mountain biking – during the summer months, Sault is all about Lavender, culminating in a Lavender Festival each year on August 14th & 15th. 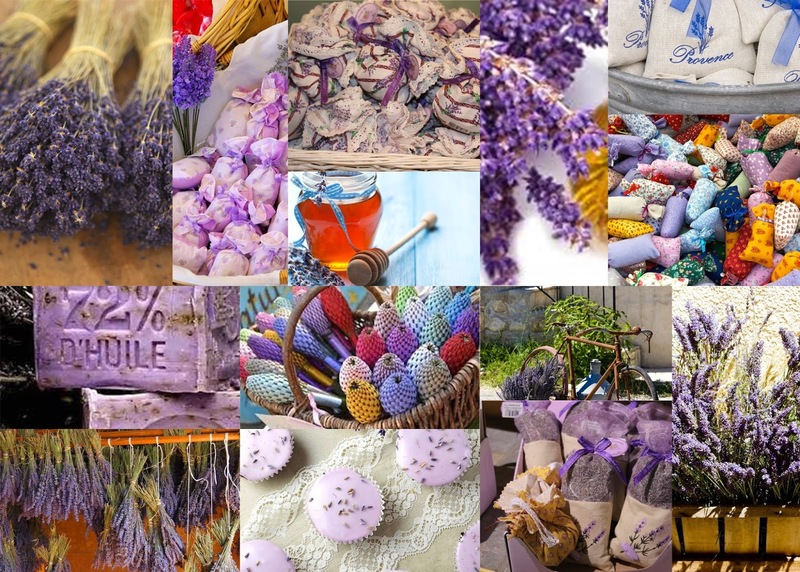 At the festival you will see the full array of lavender products, with the opportunity to take part in lavender themed games and competitions. The village streets are decorated with flags in lavender hues and bunches of dried lavender. Store shelves overflow with lavender honey, lavender creams and lotions, lavender soaps, lavender oil and essence and lavender sachets to perfume you cupboards and drawers. Sault’s regular weekly Market day is each Wednesday. 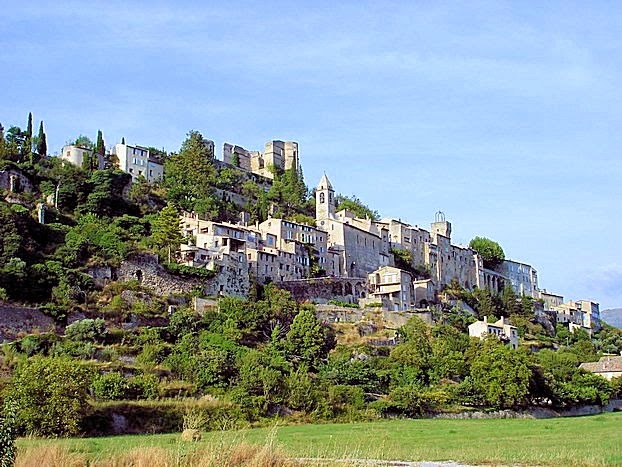 Driving 12 kilometers from Sault to our next stop at Montbrun-les-Bains will take you approximately 20 minutes along the D942, leaving the Departement of the Vaucluse and entering the Department of Drome. A very picturesque village perche, that is listed as one of the most beautiful villages in France, Montbrun-les-Bains has been a spa town since the 19th Century when it became well known for its health and beauty treatments. As it’s name suggests, the buildings in Montbrun-les-Bains are of a light brown color that creep their way up the hill. 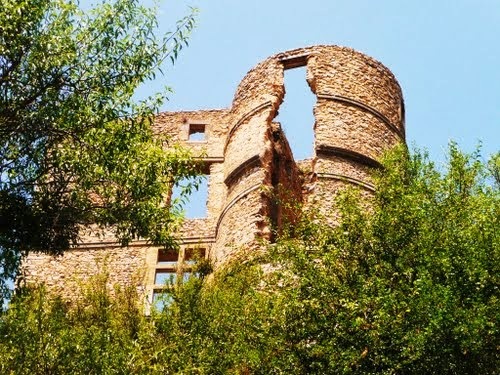 The village is dominated by the ruins of the 16th Century Renaissance Chateau Dupuy-Montbrun, home of the well known Protestant commander, Charles Dupuy-Montbrun who built it to replace the old Medieval Chateau, that was demolished by Royal decree in 1560. The new chateau was one of the largest, most beautiful chateaux in the region, and he lived there until it was badly damaged during the Religious Wars, when he was captured by the Catholic Baron de Gordes of Provence and decapitated. While the Renaissance chateau is not open to the public, as it remains in private ownership, one can get an idea of its splendor by walking around the perimeter of the building to view the exterior of the chateau. Entry to the old village is through the gate of the 14th Century Gate of the Clock. Once through, follow the walking path. The village church which was originally built in the 14th Century as a Catholic Church – integrated into the 12th Century fortification around the village, it has changed and been modified quite a lot over time. It did serve as a Calvinist Temple during the Protestant uprising and Charles Dupuy-Montbrun’s time. But having been retaken by the Catholic Church, it was then remodeled and made larger. There are a number of fountains in the vieux village, from where a part of its name originates, but it is water from another sulfurous source that gives it the reputation it enjoys today of being a Spa Town. It is well known for its medical and revitalization treatments, having had the first thermal spa established in 1860. Today, the Spa is reserved for medical appointments each morning, while afternoons are open to public appointments for spa and beauty treatments. If you wish to visit the weekly market in Montbrun-les-Bains, it is held on Saturday mornings in the lower part of the village. 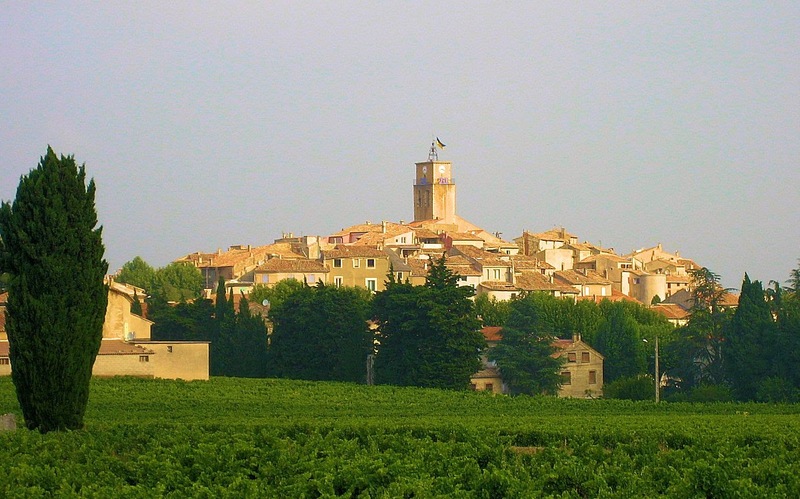 It’s now time for a one and a quarter hour drive back to Sablet, and having seen so many church spires … here’s the one to look for that will guide you back across the Plan de Dieu (God’s Plain), to our lovely little village of Sablet. If you would like to try another “lavender recipe” – here is one that I adapted from Susan Hermann Loomis’s recipe in French Farmhouse Cookbook (I love this book) – it’s an Apricot Jam recipe I absolutely swear by, and vary the fruit according to what fruit is in season, adding herbs as according to the fruit, as a little “Je ne sais quoi” in the background taste of the jam. 1. Place apricots & sugar in a large stockpot. Stir, cover and let sit for 12 hours. 2. When ready to make the jam, prepare 8, eight ounce canning jars with lids by sterilizing them in boiling water according to the manufacturer’s instructions. 3. Place the stockpot with fruit and sugar on medium-high heat, stir and bring to boil. AS the mixture boils, a pale orange foam will form on top. Continue to cook the jam for another 10 minutes before you begin to skim off foam, then skim and discard the foam until there is almost no foam. Watch the mixture carefully as depending on the size of the pot, it can easily boil over the edges. Continue cooking and skimming until the mixture has thickened and turned a rust color – about 45 minutes. Add the lavender sprig to the mixture and continue to cook for up to 30 minutes. Test the mixture for the strength of the lavender in you jam and remove when it is to your liking. Note: lavender can be a strong taste if it is left in the mixture too long, so monitor the taste during this time. Remove lavender from the mixture when it is to your liking. The lavender should be a nice background taste and not overpower the apricot. 4. Test consistency, place a very small amount on a saucer and place in the refrigerator, after a few minutes when the mixture is cool, if you can run your finger through it and it doesn’t run back together, it will jell. 5. Remove the stockpot from the heat and ladle the jam into the jars. Seal according to the manufacturer’s instructions.